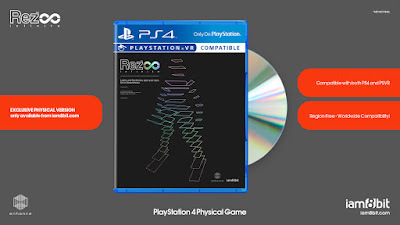 "There’s no easy way to find and play any version of Rez currently – and no way at all on any of the current gaming systems. 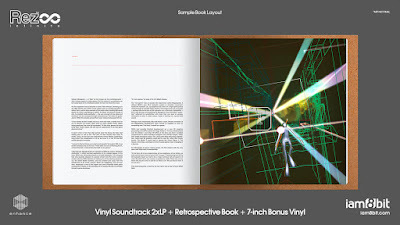 So while I’m super proud that, over the last 15 years, Rez’s fan community has grown along with its reputation, as more and more players have discovered its integration of graphic design, sound, and shooting action, at the same time I regret that fewer and fewer people have any way to play the game! 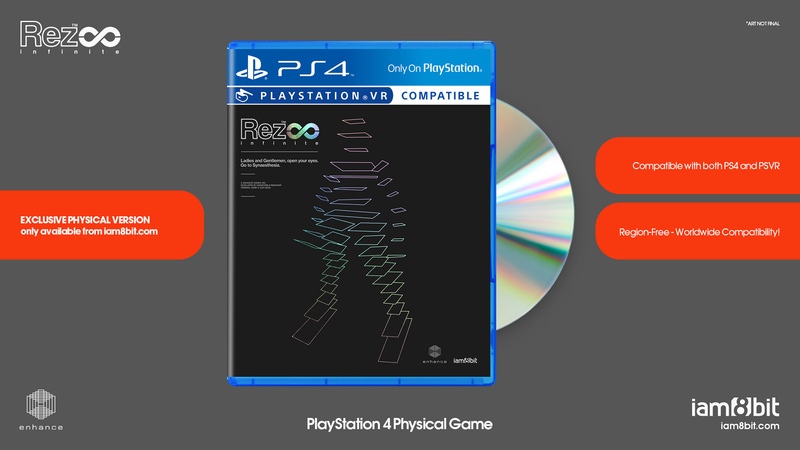 Hopefully all Rez fans will find something here that they like, including those future fans who’ve never played before but will give Rez Infinite a try on PS4 or PSVR starting this fall… all without having to go to eBay or hook up a dusty old Dreamcast to enjoy it!" Excuse me?! A 'dusty old Dreamcast'? There's no dust here Mr Mizuguchi, you cheeky sod! And what about the PS2 and Xbox 360 versions? Eh? I suppose I can let you off with a warning since you created such an amazing game. Tsk. Rez Infinite launches on 13th October and the official Rez Infinite Collection can be pre-ordered from iam8bit's website here. 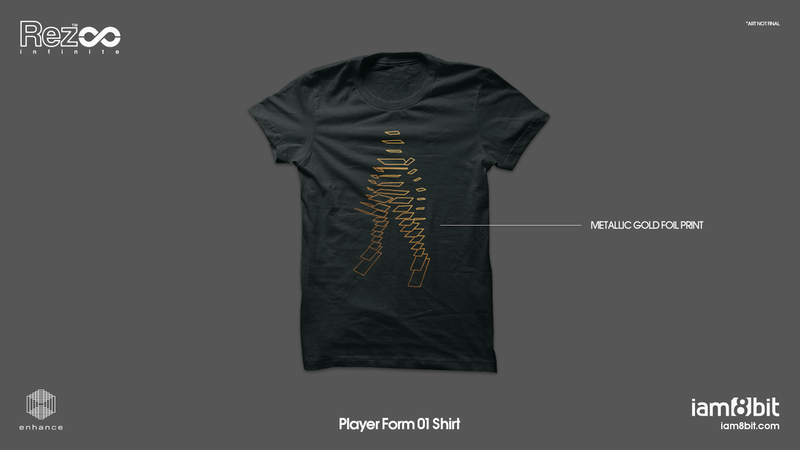 Oh my god, dude (drooling)!! I'm really frickin' considering taking what little money that I have,that I've got put down on Gran Turismo and Battlefield 1, and just buying every single item, including the limited ed physical game (even though I won't be getting VR, maybe at all! A game that I straight up love, and am actually pretty good at, I'm very tempted!